While few dental procedures may be as dreaded as the root canal, contemporary dental techniques assure that most treatments are pain-free. Since a root canal may prevent you from permanently losing a tooth, there’s no reason to put it off. 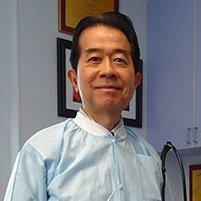 Dr. Cheng H. Tai, DDS, MS, PC, in Midtown Manhattan, New York, not only repairs your tooth, he considers the cosmetic impact of maintaining the integrity of your smile. Call or click today to book an appointment. A root canal is both the common name for the dental repair technique as well as the name of the space inside your teeth that contains the soft tissue -- pulp, nerves, and blood vessels -- essential for the development of your teeth into adulthood. When a tooth is damaged or infected, this soft tissue may become compromised. A fully developed adult tooth can sustain itself with nutrients from the tissue of the gum, so to save an affected tooth, Dr. Tai can remove this soft tissue and fill the empty root canal to repair and save the tooth. Depending on your situation, the tooth may then be capped with a veneer or crown. Preserving your natural tooth protects other teeth from increased strain and assures efficient chewing and normal biting action. How is a root canal procedure done? Dr. Tai establishes that root canal therapy is appropriate for a tooth, meaning he has determined that the pulp of the tooth is inflamed or infected. This is done by drilling an access point into the root canal. The pulp and other soft tissue are removed through the opening, and the inside of the canal is cleaned and shaped with small instruments. The root canal is then filled with an inert material, usually gutta-percha, a natural latex produced from the sap of several tropical trees. Dr. Tai is meticulous about his root canal procedures, so depending on the circumstances of your treatment, a temporary filling may be used, then at another appointment, the tooth re-opened and checked before a permanent filling is placed. How much does a root canal hurt? Chances are you’ll experience more pain from the pulp inflammation or infection before root canal therapy than from the procedure. Modern anesthetics keep you comfortable as Dr. Tai works on your tooth. You may experience some sensitivity in the days following your root canal. This is normal and subsides. Any discomfort can usually be managed with over-the-counter analgesics, though Dr. Tai may prescribe stronger medications if your case warrants.